Saturday Night April 1, 2017 will go down in podcast history! 200 plus attendees celebrated the first ever Australian Podcast Awards at the Giant Dwarf Theatre in Sydney. 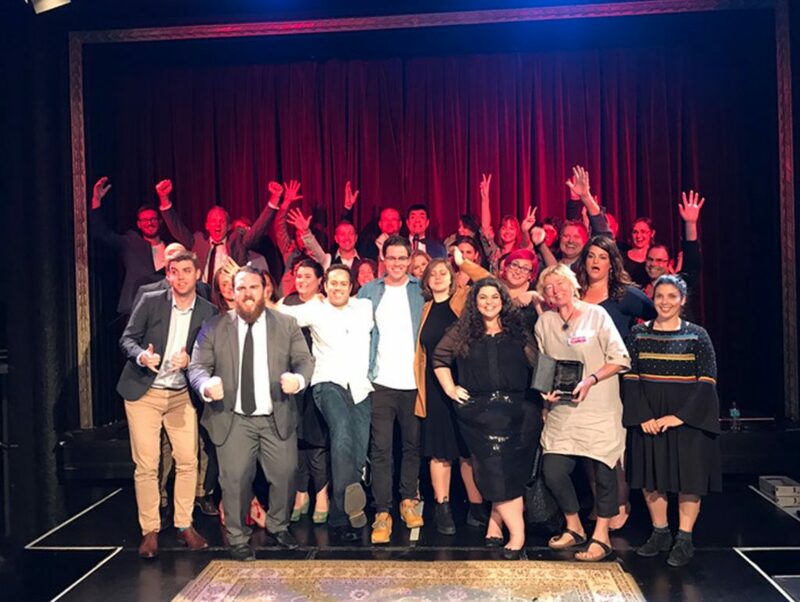 Organised by Cast Away, the ten judged categories showcased the diverse range of quality podcasts in Australia, the eleventh category was the “Peoples Choice Award” decided by popular vote. Podcaster and Marketing speaker Tim Reid did a great job of emceeing the night and keeping the speeches short (sorry you had to be there). The Awards and Prizes were presented by members of the esteemed judging panel which included people from 2SER, the ABC, the Sydney Opera House and Whooshka. Again, congratulations to all the winners and finalists AND to the organisers for a fantastic night! !